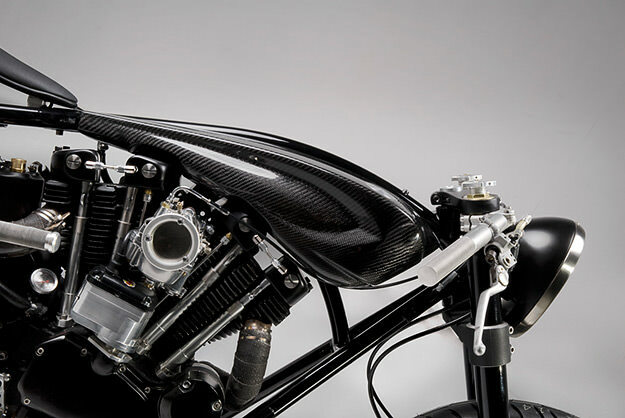 We rarely feature contemporary Harley customs, but when I saw these images by Australian photographer Michael Drabikowski, I had to make an exception. Because this Harley-Davidson Sportster isn’t your typical V-twin show bike; for starters, it’s an absolute featherweight. 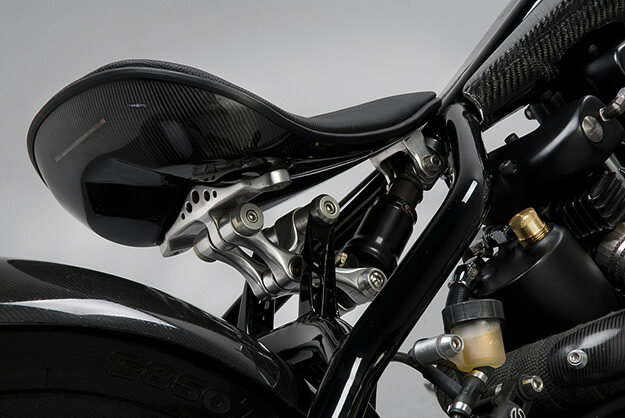 It tips the scales at a smidge under 360 lbs (162 kg), thanks to the liberal use of lightweight custom parts and carbon fiber. The motor is a thoroughly rebuilt 1969 XLCH—blueprinted, balanced and ported, drinking through an S&S Super E carb, and converted to a left-hand gearshift. The chromoly steel frame is a custom one-off, powdercoated in carbon black. 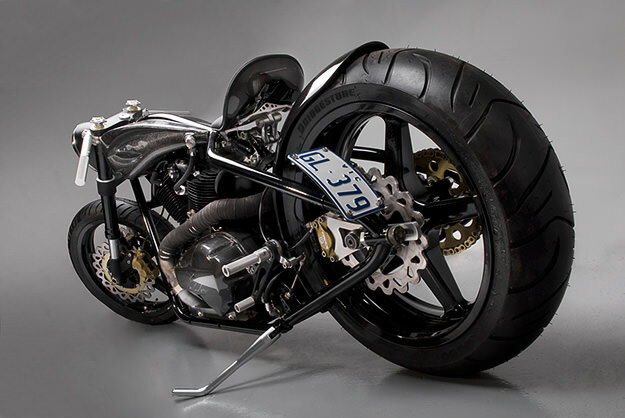 It’s fitted with heavily modified Ducati 916 forks, carbon fiber wheels designed by Blackstone Tek, and Brembo calipers. Builder Dylan Robb is a master craftsman, as the images below show, and pretty much built this Sportster in his garden shed. 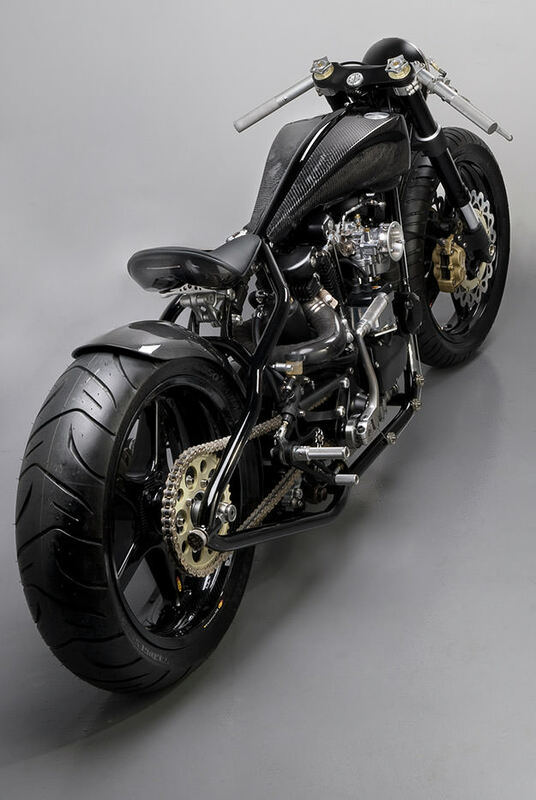 Is this future of Harley custom building? Or not? Images copyright Michael Drabikowski. Thanks to Neale Brumby and Ben Schkade.